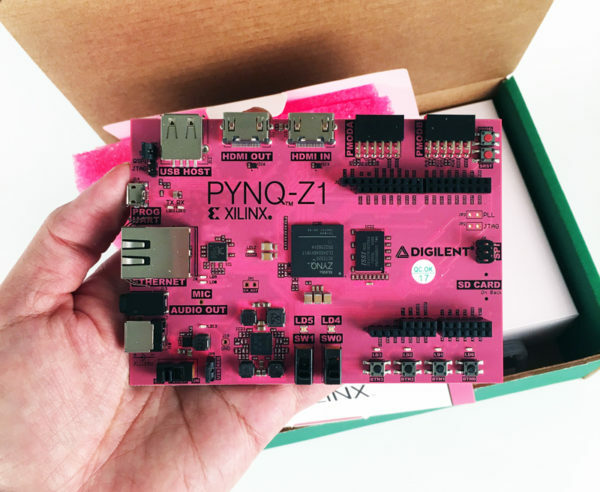 We are beyond excited to announce our latest hardware collaboration with the Xilinx University Program, the PYNQ-Z1! 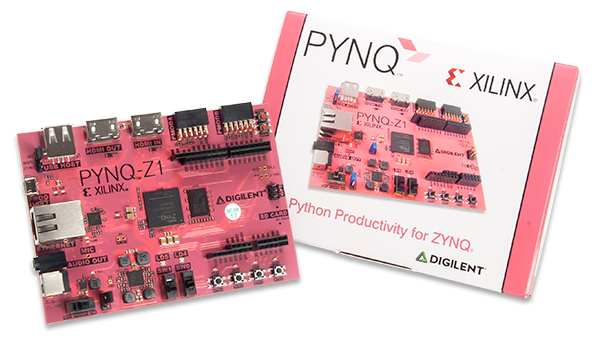 The PYNQ-Z1 is a board that was developed to combine the productivity of the Python programming language with the flexibility of the Xilinx Zynq architechture. 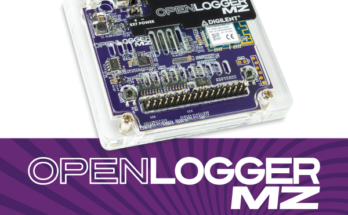 From a hardware perspective this is a very powerful board, featuring a ZYNQ 7020 APSoC, high-speed peripherals, as well as Pmod and Arduino expansion possibilities. It possesses all of the speed capabilities of our high-end ZedBoard, but with the accessibility and size of our Zybo board. Although the hardware is stellar on this board, it is the software framework that makes it really unique. The PYNQ-Z1 hardware was built to run within the PYNQ Framework, an open-sourced project run by the XIlinx University Program. The project seeks to bring the flexibility and power of Xilinx Zynq technology to Python programmers. By creating hardware library frameworks that are able to be manipulated and called by Python functions, a programmer can leverage the power of both technologies. Python is a leading general purpose (productivity) language that has thousands of open-sourced libraries, and millions of users. It’s long been cited as one of the world’s top programming languages to learn. It’s powerful, and has an extremely accessible learning curve. Why Learn Python? Zynq delivers a combination of dual core ARM Cortex A9 real time processing and Xilinx FPGA’s customizable I/O. This allows for the Python program to run on the Cortex A9, but users can customize new “personalities” for their hardware using the FPGA. Imagine, one week you are using your PYNQ board to create a quadcopter drone, incorporating several motors, WiFi communication, and navigation. Then the next week, you could use the exact same hardware to make a high-speed video capture system to process license plates of passing cars. That is the power of the flexibility built into this platform! Price is $229 with Academic Discounts available for those who qualify! 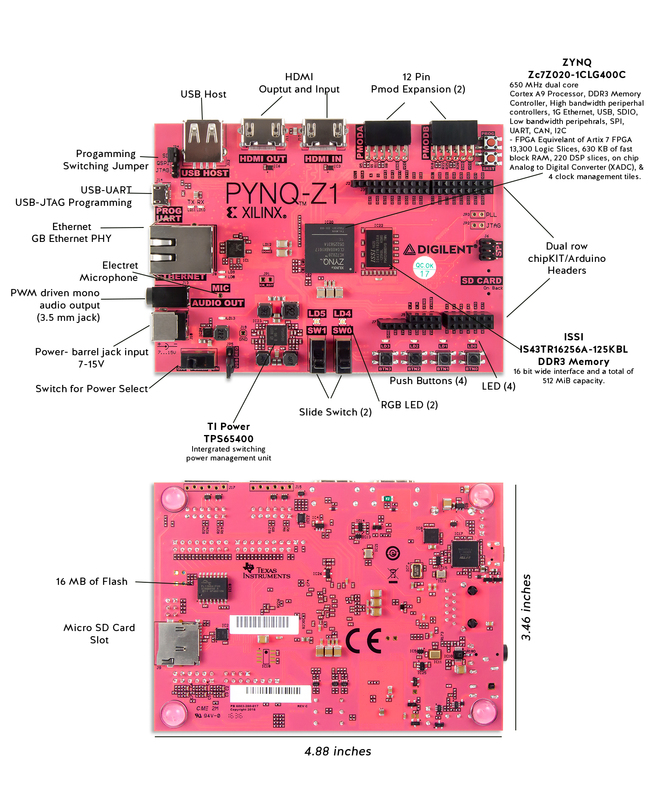 So head over to the PYNQ Board page to learn more about the hardware, or visit www.PYNQ.io to learn more about Python running on FPGA boards! This could be you… Unboxing your PYNQ Board! I love that the board has a little bit of user I/O, but not so much that I don’t know what to do with it. I also really like that it does some of everything. Ethernet? Check. Video? Check. User I/O? Check. Pmods and shields? Check. Embedded capability with support for a popular programming language? Check. 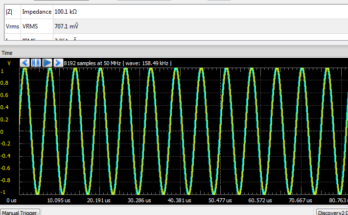 Straight up FPGA capability? Check. Audio? Check. Friendly looking board and layout that feels approachable and not so high-end that I’m afraid to go near it? Check. Love it! 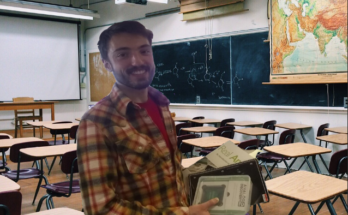 I do have two questions about the board though. Do both the input and output HDMI support Full HD? Also, on a less serious note, is the silk screen pink or salmon colored?